One of the things that distinguishes us from other China travel agencies is that we specialize in making custom tour arrangements. Putting together a smooth, well-designed travel itinerary for a China trip isn’t easy—there are many factors to consider. But with our experience, knowledge, connections, friendly service, and willingness to be flexible to accommodate our customers’ wishes, we can help you make the trip of your dreams a reality. Have a detailed wish list and specific service requests? We’ll follow your specifications to the letter. Want us to put together a proposal based on your general outline? We’ll gladly draw on our years of practice to design an unforgettable travel experience for you. Explore the Vastness of China: On our custom tours, you can go virtually anywhere you’d like to go in China, including many places not featured in our standard tour packages, like the cosmopolitan city of Tianjin and the southern island paradise of Hainan. With experienced tour guides and drivers, along with other travel partners, all over China, we can ensure the quality of our service and accommodations anywhere. This tour featured a few days in Guizhou, a beautiful but isolated interior province that many China tourists haven’t even heard of, and members of our company have personal experience visiting out-of-the-way places like Jiuhuashan in Anhui Province (see photo). 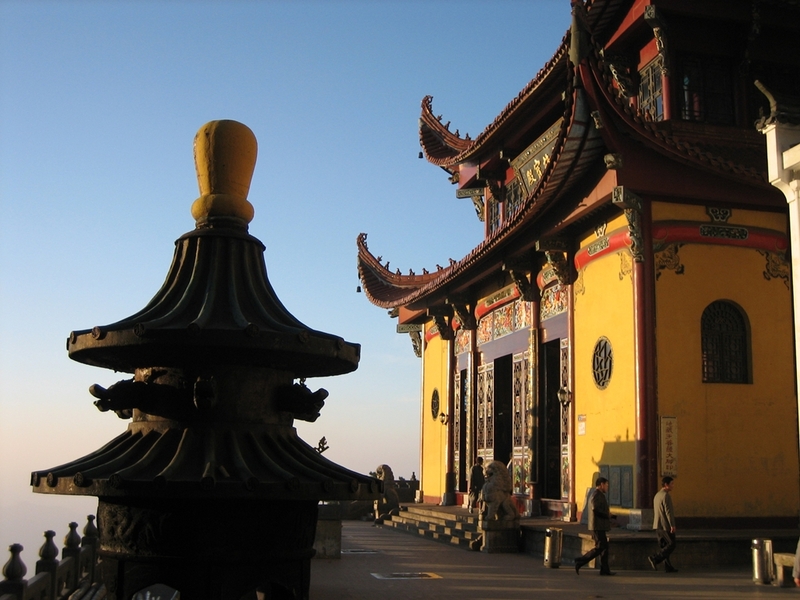 Our custom arrangements will allow you to explore the exciting frontiers of China travel. Be adventurous! School Groups and Study Abroad Programs: One of our areas of particular expertise is school tour groups—including middle school groups, high school groups, and university-level study abroad programs. We provide special educational materials for students of Mandarin that are specifically designed to enrich their travel experience, along with advice, reviews, and information about other learning resources (see our Chinese Language Resources page for details). Hobby, Special-Interest, and Family Reunion Tours: If you have a burning interest in something like studying t’ai chi (太极拳, tàijíquán) with local masters, learning about the history of China’s revolutions, or reconnecting with relatives living in China, we can take you wherever you want to go and make flexible arrangements for you. Southeast Asia Custom Tours: Keep in mind that in addition to our tour packages for Thailand, Cambodia, Vietnam, and Taiwan, we also offer custom tours to these and other destinations in Asia. This ambitious custom itinerary for a large group featured stops in Vietnam and Cambodia, as well as less-traveled destinations in southeastern China like Mount Wuyi and Shaoguan. Want a completely private, independent tour for your group? Our pleasure. Have a very large group of relatives, friends, students, or employees? We can handle those logistics—we’ve arranged tours for groups of more than 70 people. Don’t want any commissioned shopping stops taking time away from your sightseeing? No problem; we’ll discuss such details directly with you and provide different price options. Prefer a Mandarin-, Cantonese-, or even Spanish-speaking tour guide instead of an English-speaking guide? We can do that, too. Would you like a Chinese version of your itinerary? In fact, most of our itineraries are put together in Chinese first before being translated into English, and we’ll be glad to provide you with the original Chinese. Plan your customized adventure today! If you could be sure of the reliability of your travel arrangements, the expertise of your guides, and the quality of your accommodations, where would you go? Call us at (888) 648-1568 or e-mail us today, and let’s get started! Here is a selection of custom itineraries that we’ve put together for our clients. They might help you generate ideas for your own dream vacation. over the icon for information about the tour.